The Interface Pharmacist Network has developed shared care guidelines for GPs covering many of the immunosuppressant therapies used to manage a variety of rheumatic disorders. These are available to download on their website. The Arthritis Research UK website publish specific drug information for patients receiving treatment for rheumatic disorders. These often form the basis of educating patients about the drug therapies proposed by Dr Meenagh. Further information about conditions and their treatments can be found in our conditions and useful links sections. A novel biological drug used in Rheumatoid Arthritis often after failure of conventional biologic therapy. This is one of a new range of therapies known as biologic agents. It is licensed for several types of arthritis in appropriate patients once conventional treatments have failed. A treatment often used to improve sleep disturbance and may also have impact on pain levels. Sometimes used to help patients with fibromyalgia. Another drug with a suppressant effect on the immune system. Sometimes used to help reduce the dose of steroid therapy taken by patients with chronic forms of arthritis and connective tissue disease. A weak acting immunosuppressant drug sometimes used to treat rheumatoid arthritis once patients have failed with conventional therapies or those with reasons not to receive biologic agents. A potent drug which suppresses the immune system and often used to control serious forms of arthritis, connective tissue disorders or patients with vasculitis. A treatment traditionally used to manage rheumatoid arthritis mainly. Rarely used today apart from occasions when other lines of therapy may not be advisable. This drug has a weak immunosuppressant effect but may work in conditions like lupus and, in conjunction with other therapies, to control serious arthritis. It is also conventionally used as a treatment for malaria worldwide. An intravenous drug which improves blood flow peripherally in rare conditions like raynaud's disease. A product derived from blood which may improve clinical parameters in patients with serious inflammatory conditions. Sometimes given to patients with depleted immunoglobulin levels in the blood. One of the standard drugs used to reduce inflammation and pain in various types of serious arthritis. This is one of the disease modifying agents in rheumatic disease (DMARD). It is given daily usually. 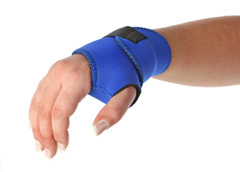 Frequently used a means of reducing pain and swelling of joints, tendons and soft tissues. 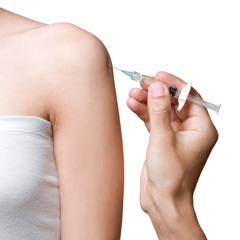 It involves local anaesthetic and steroid injected to the site of symptoms and comes with few major side effects. It is often very effective although long-term benefits may be difficult to predict. One of the standard drugs used to reduce inflammation and pain in various types of serious arthritis. This is one of the disease modifying agents in rheumatic disease (DMARD). It is given weekly along with folic acid supplementation. Sometimes used as an alternative to conventional DMARD therapy and more specifically in rare connective tissue disorders with multiple organ involvement. Commonly prescribed by GPs to control pain and swelling in joints and soft tissues. Can be associated with various side effects and probably unsafe in patients with serious heart disease. These agents are designed to arrest the progression of osteoporosis. Often given at intervals (weekly or monthly). Some newer agents given in hospital are available twice yearly or even annually. This is one of a new range of therapies known as biologic agents. It is licensed for Rheumatoid Arthritis in appropriate patients once conventional treatments have failed. This drug is often used once other biologic agents have failed and is given intravenously. Sometimes used to control inflammation rapidly and for a short period. Side effects can be problematic if given in the longer term and therefore need to be given with guidance from a specialist. One of the standard drugs used to reduce inflammation and pain in various types of serious arthritis. This is one of the disease modifying agents in rheumatic disease (DMARD). It is given in a daily regime usually. This is one of a new range of therapies known as biologic agents. It is licensed for several types of arthritis in appropriate patients once conventional treatments have failed. This drug is often used once other biologic agents have failed and is given intravenously. 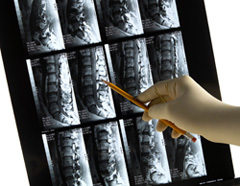 Studying X-Rays of a spine condition.